At Anthony’s Shade Sails, we design, manufacture, and install quality canopies for residential and commercial properties on the Gold Coast. One of the biggest advantages of a canopy over a shade sail is that canopies can be customised with accessories such as electrics, heating, blinds, and drainage. Canopies can also span large distances. 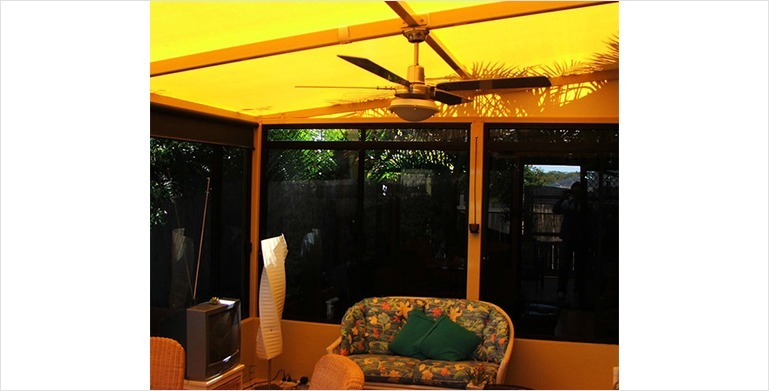 We have been serving Gold Coast home owners and business owners since 1996 with shade sails installations. The entire process is delivered by our expert team beginning with a free no obligation measure and quote at your property. All our canopy installations come with a 12-month warranty on workmanship and a 12-year manufacturer’s warranty on the shade cloth. Shade cloth will give you 100% UV protection along with shade. Canopies are an excellent permanent shade solution and are well suited to put over permanent home structures such a patios and commercial car parks and shades for businesses. You can choose the colour, shape, and style of your canopy to make it aesthetically pleasing. We can help you design a canopy that will suit your requirements. Our canopies are available in various sizes and shapes to provide an economical way for shading an area of virtually any size. We can attach a canopy to an existing permanent structure to give you a cost-effective way of creating a covered area outside your home. Canopies are low maintenance and easy to clean. Canopies can help to reduce your home air conditioning costs by helping to naturally cool the room it adjoins. A canopy adds functionality to your home and can even increase the value of your home. Contact us for a free no obligation quote or to find out more about our canopies.